New Fire HD 8: Available in pre-sales - SaveMoney Blog! A new version of the Amazon tablet is now available. 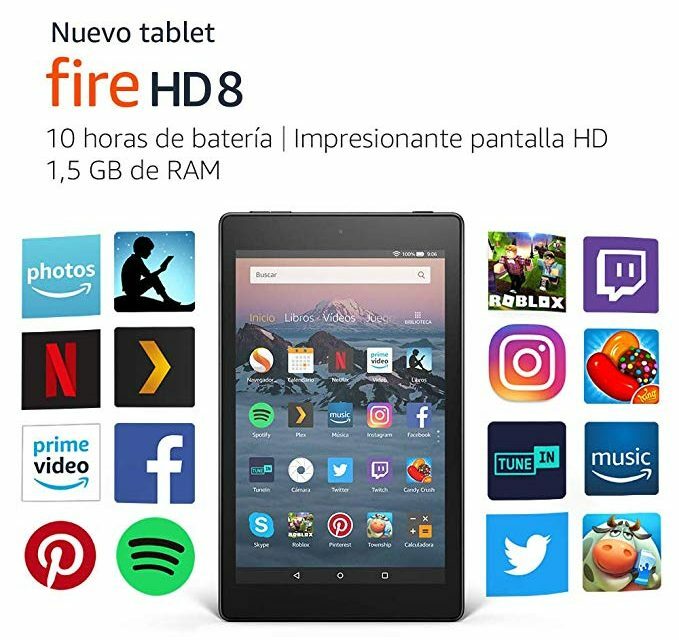 The new Fire HD 8 will go on sale next October 4 but you can make your reservation!!!!! The advantages of Amazon presales you know that they are many, and very good. What we find most important is that we do not have to pay anything as a reservation. You reserve the purchase of the new Fire HD 8, and do not pay anything until the tablet is on the way home. Another big advantage is being able to have it at home the day of the launch. This advantage will be totally free if you are from Amazon Prime. If you are not yet, you can also have access to this advantage, and for you to Fire HD 8 The next October 4 you will only have to pay €3.99 additional for this type of shipment. If you are interested in being Amazon Prime do not miss the opportunity, and take advantage of the promotion that has taken Amazon to be prime for 30 days free trial. As more important news of this Fire HD 8, tell you that it is faster and intuitive. Your 1.3 GHz Quad-Core processor will allow you to surf the Internet at high speed and in a fluent way. Fire HD 8 has 50% more RAM than the previous model, Fire 7. In addition, it counts at least with 16GB of internal storage, expandable up to 400 GB with MicroSD card. So, the capacity is not going to be a problem with the new Fire HD 8. The Fire HD 8 screen is high-definition LCD with which you will be able to see sharper images, with more brightness, and with less reflections. If you are from Amazon prime you will be able to watch the movies and Prime Video series with a great picture quality. Another upgrade from Fire HD 8 is the battery life. By giving it normal use you can use your tablet up to 10 hours in a row. In addition, to adapt to the frenetic beats we have now, Fire HD 8 has surpassed more than 50 resistance tests so that possible blows, falls, or any other incident can be saved without your Fire HD 8 breaking. 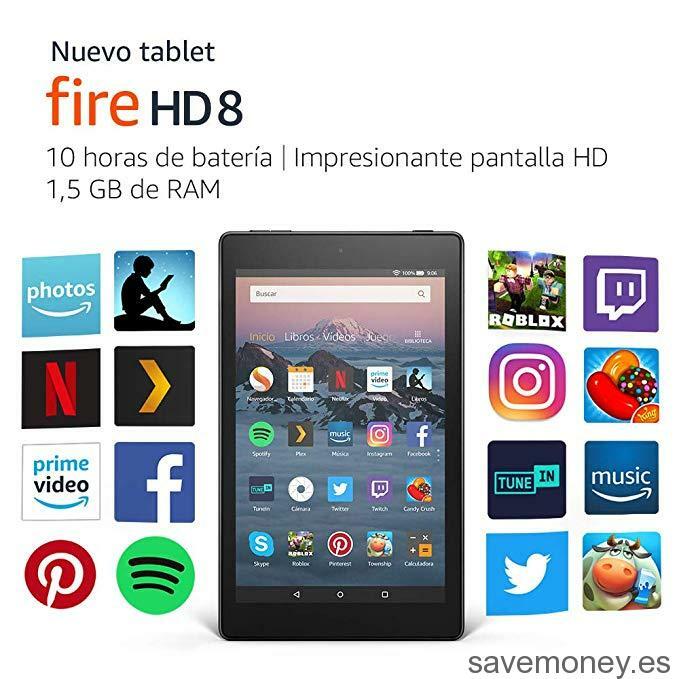 Then we show you the tables of Savemoney.es with the different models of the new fire HD 8: [Savemoney asin = "B0794TLHP4, B0794TLZT5, B0794X2TM4, B07951LXJJ"] * Note: Usually in tablets fire, and ebooks Kindle, Amazon does not Delivery to Spain from other countries.